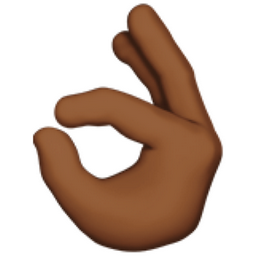 The OK Hand Sign emoji combined with the Darker Brown flesh tone character. This gives the emoji the darker brown skin color appearance. Yaay!